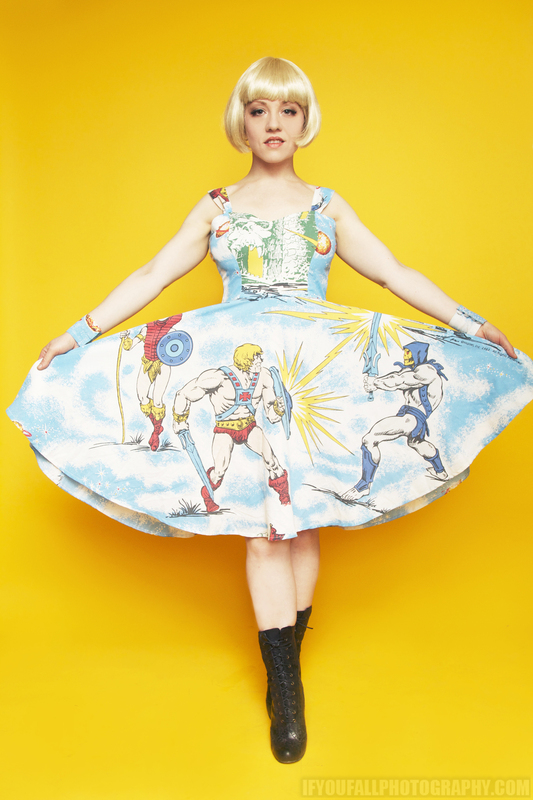 One day last year my friend and performance partner Meryle Trouble came to me with a vintage He-Man bedsheet and an idea for the ultimate nerdy, pinup girl dress. In constructing this look I was very careful with the placement of the pattern. 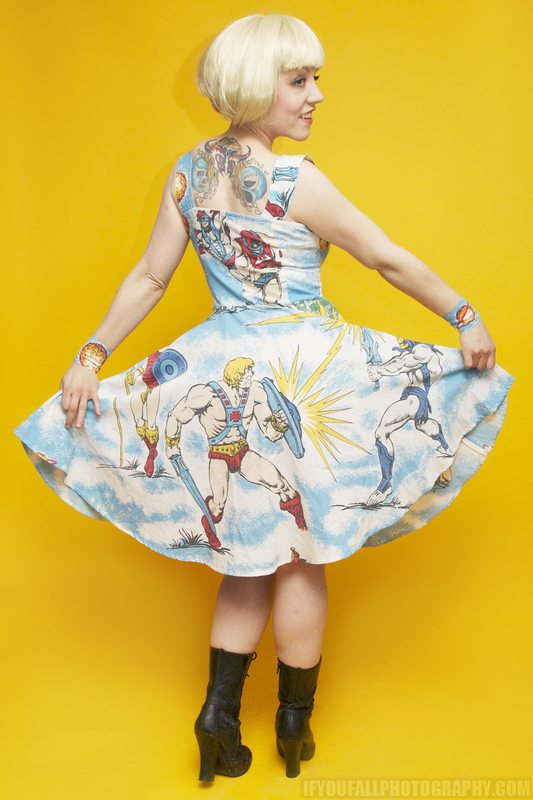 The skirt in the back and front showcases He-man battling Skeletor with Teela standing by. For the top of the dress I put the castle front and centre, and on the back the characters Stratos and Zodac are featured. Just for a bit of fun I also added some wristbands with planets from the print to finish the look! 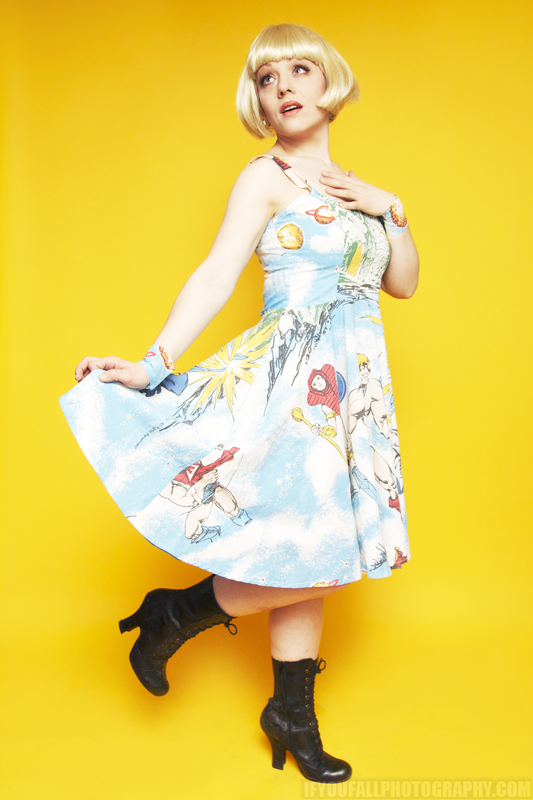 Check out Meryle in her He-Man dress on He-Man World’s facebook and fan forum!